It seems so nostalgic and festive- going out with a saw in hand to cut down your own tree. We tried it this year. There was so much excitement and I had no idea how much went into putting up a real tree. Ours is perfect for our little livingroom. It looks like it's going to fall into the window and Mark checks it every day to see if it's leaning more than the day before, but it's perfect. 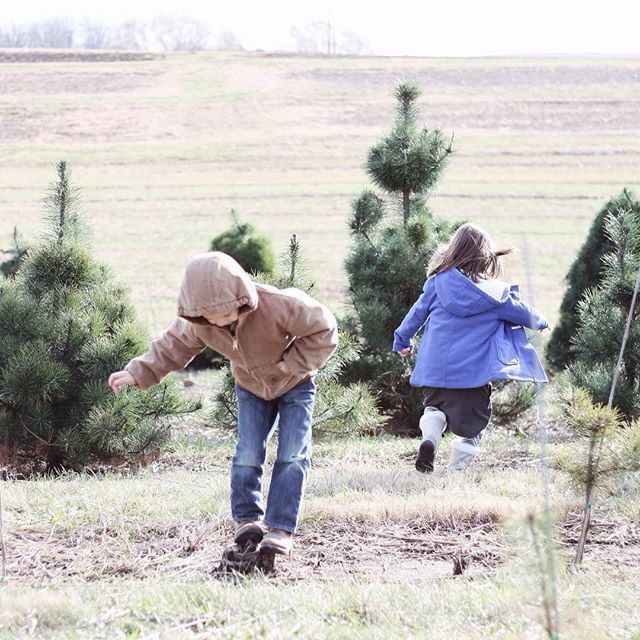 We came home from the tree farm and got it all set up, which seemed like a chapter from the Griswold's Christmas, and let the kids put on their ornaments. I have mentioned making a popcorn garland to the kids, but I'm thinking I might have two little girls who will be too tempted by it to leave it alone. Jury is still out on that one. Perhaps a paper chain is a better option. Our December is calm and slow for us. We have a few very special and anticipated gatherings schedule, but nothing too fancy or overwhelming. There is always temptation to say, "Yes," to everything and fill the calendar to the brim, but then I'm left frazzled, tired, and not able to enjoy the bits and pieces of the season. So, I choose to prioritize those things which enrich our lives and let go of those things which weigh us down. It is such a blessed time of year! 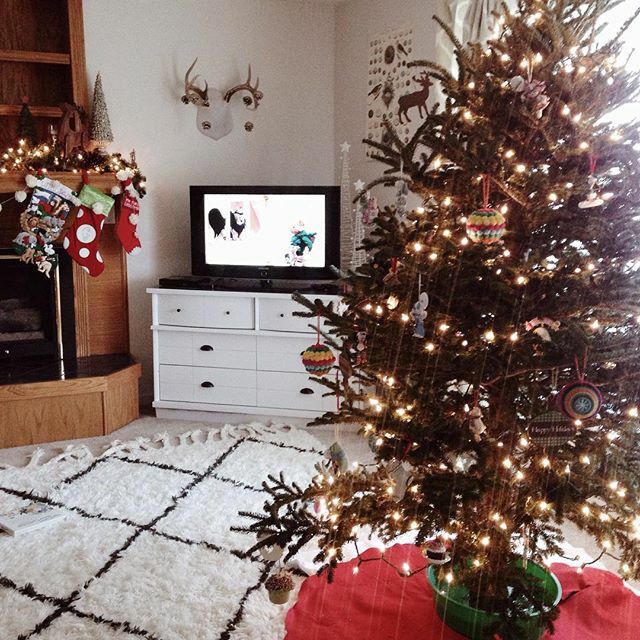 Love the photos and your tree! 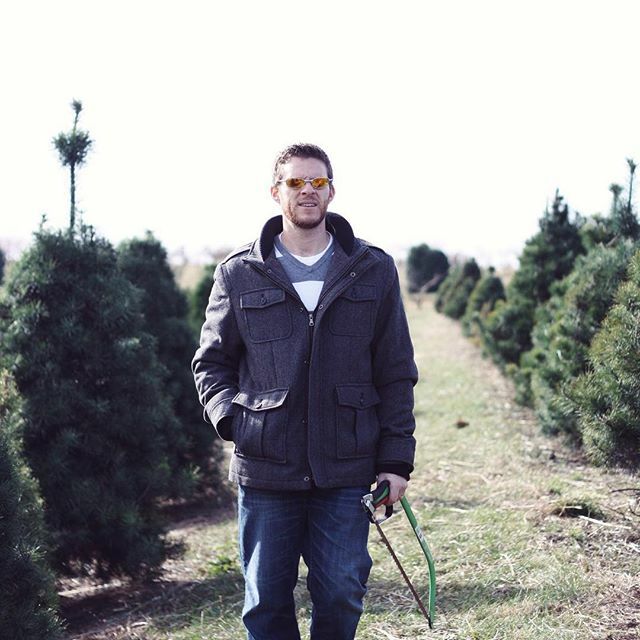 We may attempt the tree farm this year. We want one of the teeny little ones. We gave away our artificial last year. Coming home to blurry photos is always a nightmare of mine, haha, glad you were able to make the best out of it, capturing shots in the backyard. Where did your husband get his jacket? I think mine would love one.